The President of the Institute for Educational Administration & Leadership – Jamaica (IEAL-J), Professor Paul Miller, has been appointed President of the Commonwealth Council for Educational Administration and Management (CCEAM) for a period of 4 years – with effect from 2nd December 2018. 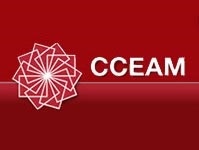 CCEAM, which has accreditation from the Commonwealth Secretariat, is the organisation responsible for leading research and fostering cooperative and collaborative exchanges internationally amongst education leadership, administration and management professionals within and across the Commonwealth and beyond, that redound to the benefit of the nearly 3 billion citizens of the Commonwealth. CCEAM, which is also affiliated to the Commonwealth Consortium for Education (CCfE), has national affiliates in 27 Commonwealth countries located on each of the six continents of the world, from New Zealand to Mozambique, from Malta to India, and from Malaysia to Jamaica. Establishing the Commonwealth Leadership Institute to support the study, practice and preparation of education leaders within and across the Commonwealth. Paul becomes the first person from the Caribbean, and the first black male, to become CCEAM President. He has a significant track record of research and publications in educational leadership. 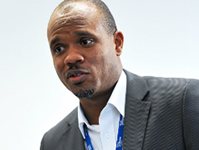 An internationally recognised and respected academic, researcher and administrator, his research on race inequality/ the discrimination of teachers of Black, Asian and Minority Ethnic origin in England is assisting the UK Cabinet Office in policy development. Furthermore, his research on school leadership, in particular, his research on leadership development and school improvement is assisting the Jamaican education ministry to redesign and implement targeted interventions to strengthen its support for school leaders and education officers. Paul, who is also Professor of Educational Leadership & Management at the University of Huddersfield, UK, is also a member of Council of BELMAS and a member the Technical Working Group on Educational Leadership & Innovation of the Caribbean Community (CARICOM). On behalf of all his Council colleagues and the wider BELMAS membership, we congratulate Paul on this appointment and wish him every success.